Nicola Merry has been fundraising for the Liver Transplant Unit through the Queen Elizabeth Hospital Birmingham Charity for the past 15 years, ever since she had a liver transplant in 2003. Nicola’s problems started in 2001 when she was travelling and began to feel unwell, when returning to the UK, she was diagnosed with epithelioid hemangioendothelioma (EHE), a rare form of cancer that only had 33 reported cases worldwide at the time of Nicola’s diagnosis, meaning she needed a liver transplant within six weeks. 15 years later and Nicola is still fundraising for the hospital that saved her life and continues to donate even more money every fundraising event she holds. 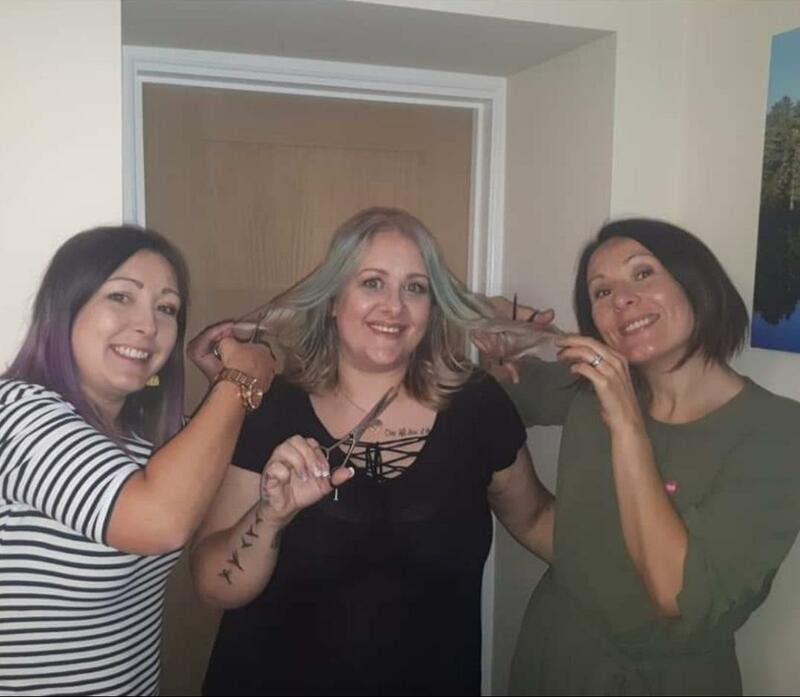 For the 15th anniversary of her transplant, Nicola’s best friend, Louise French, shaved all of her hair off to raise money for the Liver Transplant Unit. Louise’s two daughters also braved a haircut to raise money for the Unit, and donated their hair to The Princess Trust. The event took place in Nicola's home town of Cinderford after an afternoon tea which also raised money towards the total. The head shave, hair cuts, afternoon tea and in memory donations raised an incredible £2,900, more than seven times their target of £400! To fundraise over the past 15 years, Nicola has set up a number of events, including the 100 club which happens once a year, sponsored walks, charity evenings, and now head shaves! Justine Davy, Head of Fundraising at QEHB Charity, said: “Nicola’s fundraising is inspirational. After finding out she was extremely unwell, to going through a liver transplant, to then want to continue fundraising for the department at QEHB is amazing. If you have been inspired by Nicola’s story and want to fundraise for the Liver Department, you can join in on one of our events or create your own! Find out more about the events we currently have by visiting our events page.